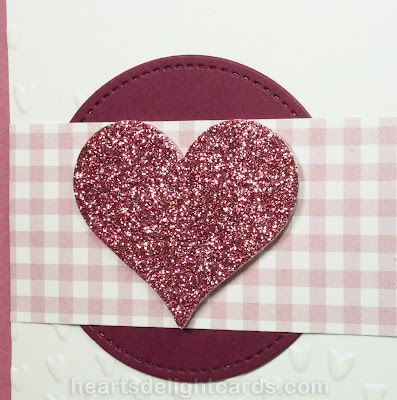 I kind of like using non-traditional colors for holidays, so instead of red and white for this Valentine, I thought the soft pinky-plum of Sweet Sugarplum would be a nice change. 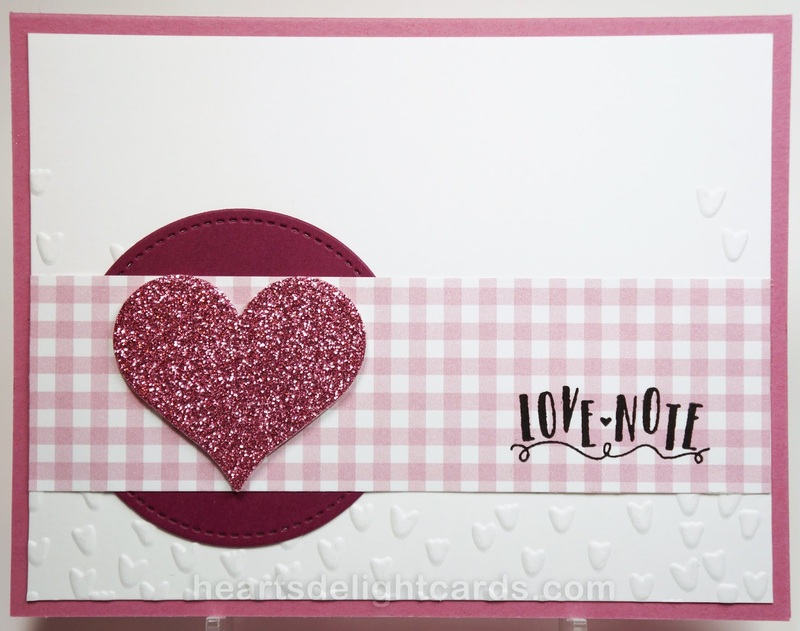 Although the Love Notes Thinlits are on back order the coordinating stamp set, Sealed With Love, is available, and the Sweet & Sassy (heart shapes) Framelits are great for any size hearts you may need! 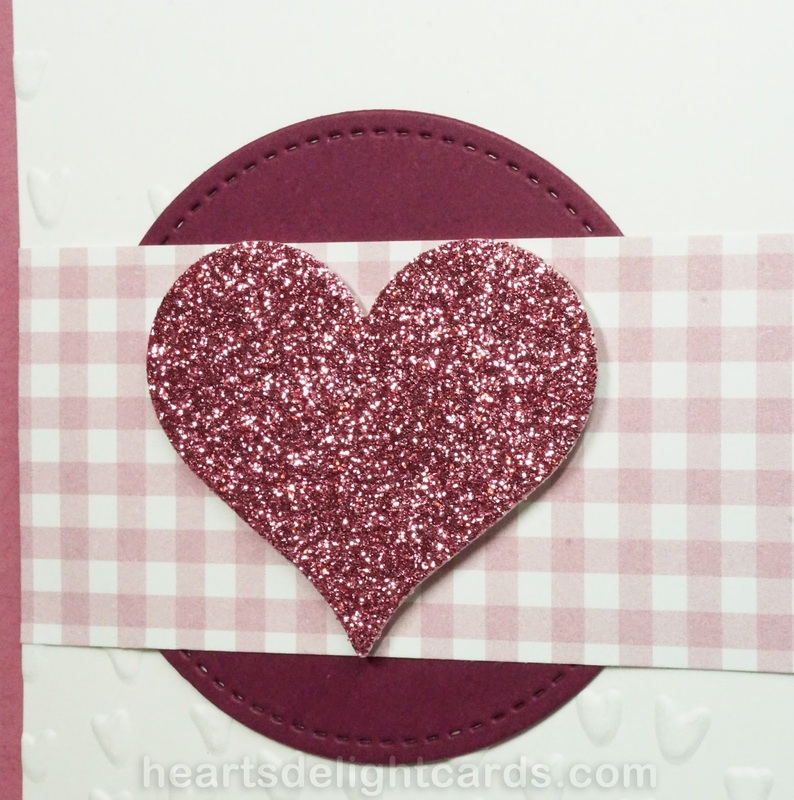 The Sweet Sugarplum Glimmer Paper made the cutest little heart, set off by the Sweet Sugarplum gingham check in the Succulent Garden DSP. Ooooo, I have to tell you - that glimmer paper assortment in the newly released Sale-A-Bration brochure is to die for! It will be available starting Feb. 21st, and I have a feeling it is going to be very popular, so don't wait until the end of SAB if you want it. I have to take Mom back home tomorrow, so I probably won't have another post until Sunday. Unless I can squeeze in a quick card later today and schedule it for tomorrow. I have something in mind......we'll see if I can git r done!